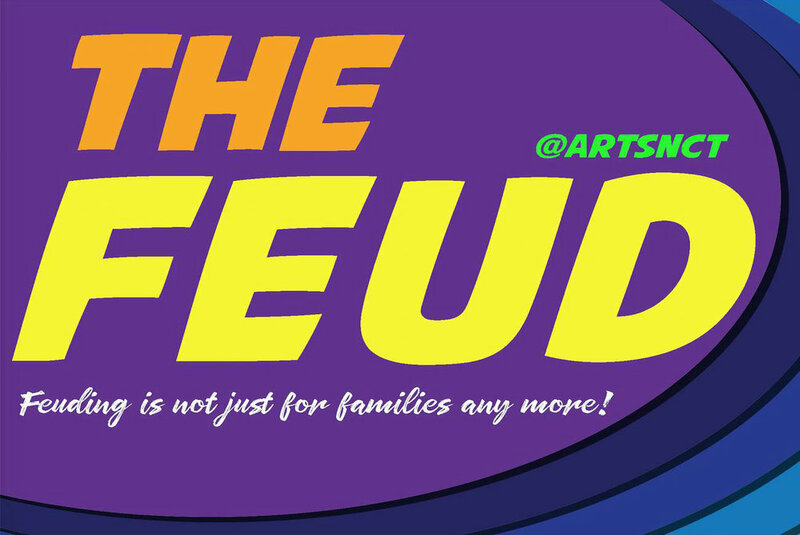 The FEUD — ARTSNCT INC.
Returns to ARTSNCT in 2019 by popular demand! 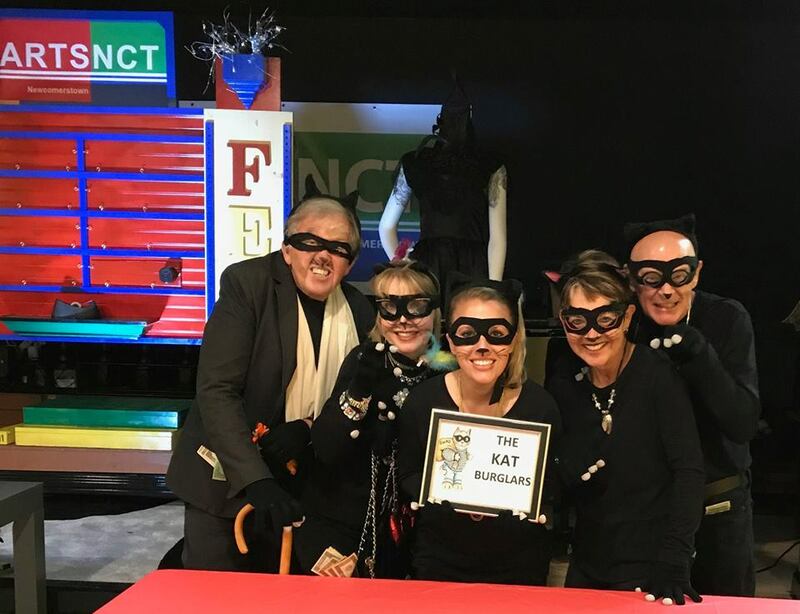 The Kat Burglars: Champions of our very first FEUD. The FEUD is kind of like Family Feud ... but not at all like it! More hilarious ... more action ... more entertaining. Now accepting more team registrations. 1. Assemble a team of your dearest and craziest friends and family members. 2. Choose a name for your team, i.e. Super Heroes, Little Rascals, Addams Family, or simply The Matrix, The Ugly Sweaters, Team Hamilton, or Team Disney, etc. 3. Register your team via text or message to ARTSNCT. If you are thinking that The FEUD is like a television game show that has a similar title, you are wrong "X". A. Teams are required to 'dress up' as a team character you choose to represent. The 'dressing up' part may be minimal (example: a hat or a glove) or to the max (example: full costume and makeup) or somewhere in between … You decide … however, bonus points will be awarded for Best Character. B. The FEUD has seven (7) possible answers to each question. C. The team with the highest number of points obviously wins, BUT the bonus points for Best Character are added at the end of the game which could upset the results of the game. 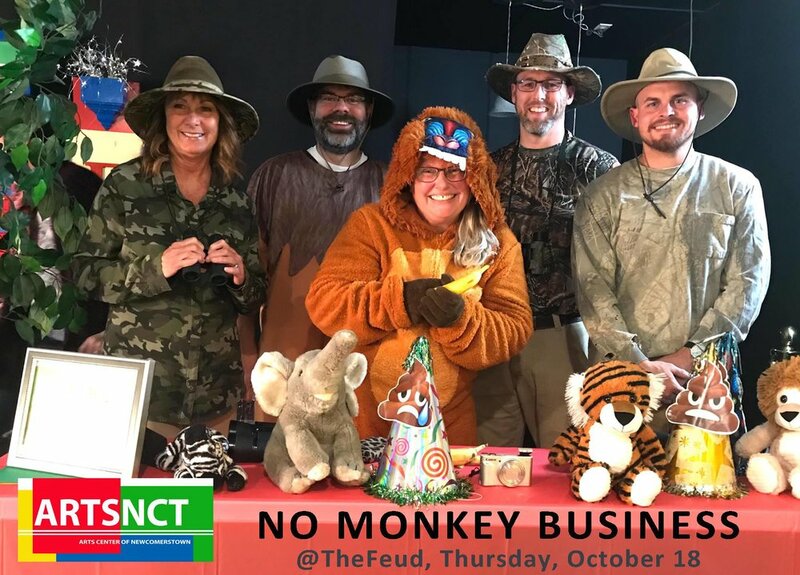 The Feud is held monthly at ARTSNCT. You will not want to miss participating in the games or watching it 'Live in Living Color' in the arts center! Game show hosts are Michael Wise and Nash Bricker. PRIZES & BOOBY PRIZES GALORE!